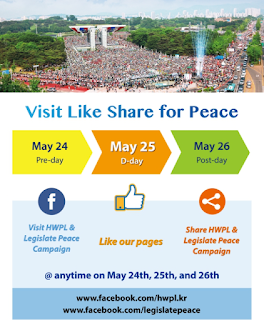 On 25 May, 2013, Heavenly Culture World Peace, Restoration of Light (HWPL) hosted the Walk for World Peace and Restoration with International Peace Youth Group (IPYG) as a global peace movement. 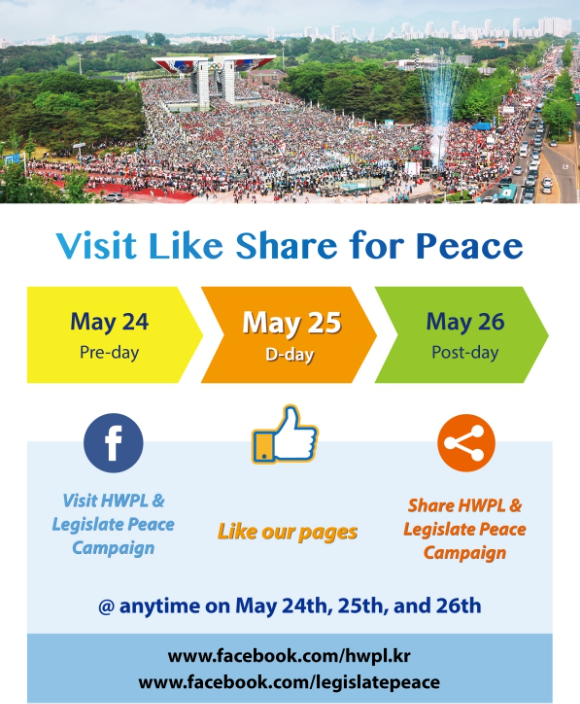 In recognition of the universal call for cessation of war and peace for all, the Declaration of World Peace was proclaimed by Chairman Man Hee Lee of HWPL., with an emphasis on the urgent need to establish the international law for peace and the role of global leaders, media and youth. Over 30,000 youths from 130 countries came together to join the peace walk, which became an annual peace event that continues to appeal to the global community by performing a collective action to raise awareness of the peace movement at both the local and global level.